Playing is an integral part of daily life for children. Through playing, all aspects of development can be promoted. 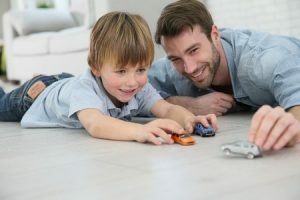 For example, social skills such as sharing, cooperation, and turn-taking can be targeted while playing with a peer or family member (Lantz, 2001). Play takes many forms such as running, playing hide and seek, making art, or playing dress up. 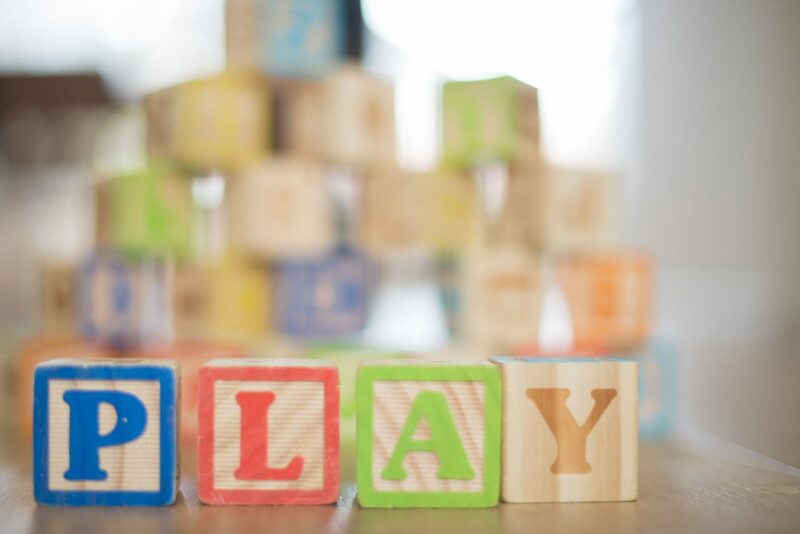 In today’s blog, we will discuss the different stages of play, how behavior therapists may encourage play, and ideas on how to promote play at home. 1) Unoccupied Play – This is when a child explores and discovers how their body moves (e.g., moving their arms, legs, feet, hands). 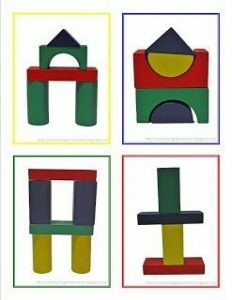 2) Solitary Play – This is when a child plays alone and may include engaging with a toy. 3) Spectator/Onlooker Behavior – This occurs when a child starts to watch other children play. 4) Parallel Play – This is when a child plays beside or near other children but does not play with them. 5) Associate Play – This is when a child interacts with others while playing mainly to give, take, and share toys. However, the amount of interaction is minimal. 6) Cooperative Play – This is when a child plays and engages with others in the same activity. 2) Video Modeling – This teaching methodology has been found effective to teach children with autism a variety of skills. Video modeling is when adults or peers are recorded while acting out the targeted skill (e.g., playing with baby dolls). The goal is for the student to imitate the observed actions from the video to learn the skill (MacDonald, Mansfield, Wiltz, & Ahearn, 2009). 3) Scripts – This is a specific visual strategy often used to promote social-communicative interaction while playing. Research has shown scripts are effective in enhancing interaction among children sociodramatic play (Goldstein & Cisar, 1992). Once scripts are learned, spontaneous responses are facilitated. ErinoakKids Centre for Treatment and Development (2012). Sample Play Script. Be sure to build play time within your child’s schedule. Model how to play with the materials and/or toys. For example, if playing with play dough, show your child how you are making three balls to stack on each other to make a snowman. Ask them if they can make a snowman too. As the holidays are near and you might be considering what to get your child, think about presents that could encourage your child’s play, based on their current developmental skills. Get creative! Set up obstacle courses, build a fort out of blankets, decorate cookies, make slime. If available, consider attending a play group. Consider enrolling your child in an organized activity (e.g., gymnastics, karate). In conclusion, playing is essential for all children’s development. Through play, children socialize, learn, and have fun! As Mr. Rogers said, “Play gives children a chance to practice what they are learning.” Hopefully the holiday break provides some extra opportunities for playing and family time! Happy Holidays! ErinoakKids Center for Treatment and Development. (2012). 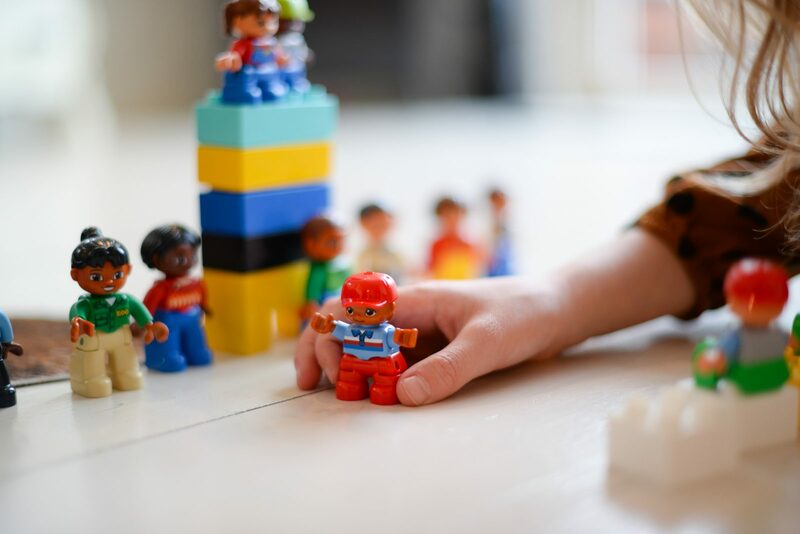 Teaching Play Skills to Children with Autism. Goldstein, H., & Cisar, C. L. (1992). Promoting interaction during sociodramatic play: Teaching scripts to typical preschoolers and classmates with disabilities. Journal of applied behavior analysis, 25(2), 265-280. MacDonald, R., Sacramone, S., Mansfield, R., Wiltz, K., & Ahearn, W. H. (2009). Using video modeling to teach reciprocal pretend play to children with autism. Journal of Applied Behavior Analysis, 42(1), 43-55. Transitions are an inevitable aspect of life as they occur throughout the day and in all settings – at home, school, work, and in the community. According to Merriam-Webster, a transition is defined as a “passage from one state, stage, subject, or place to another: CHANGE.” Transitions typically require an individual to: 1) stop an activity, 2) move locations, and 3) begin something new. Transitions are difficult for many children, triggering undesired behaviors. Thus, it is critical to target transitions and add some ease to everyday life. 1) Priming – Priming occurs when a student is given the opportunity to preview activities or given information ahead of time. This promotes predictability. Depending on the student, priming could occur an entire day before the activity or shortly before the activity. An example of priming is when schools provide an opportunity for students to meet their teacher, see their classroom, and find out who is in their classroom before the first day of school. 2) Social Stories – Some students greatly benefit from incorporating social stories about transitions and/or unexpected events. 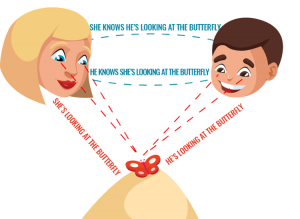 Social stories can be used as a method for priming and preparing the student for what is going to happen, whether it is for an anticipated change (holidays, appointments), a day-to-day transition (brushing teeth, getting dressed), or major transitions (changing schools, becoming a sibling). 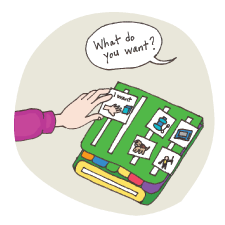 3) Visual Schedules – Visual schedules incorporate pictures, text, and/or icons. It provides a student a schedule of what tasks and activities to expect throughout a certain time period (e.g., entire day, at school, after school, bedtime routine). If there is a change in the routine schedule, it is possible to use priming and the visual schedule to prepare the student for what is going to happen. 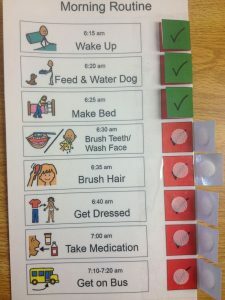 For example, if grandma is coming over after lunch (something that typically does not happen routinely), then putting a picture of grandma after the lunch icon and telling the student “after lunch, grandma is coming.” A behavior therapist can help determine what type of visual schedule will best support your child as there are many different versions. – Try to plan ahead and provide cues before a transition is going to occur, whether it is simply “time for a bath after dinner” to practicing what happens at a birthday party before going to it (e.g., singing happy birthday, opening presents). 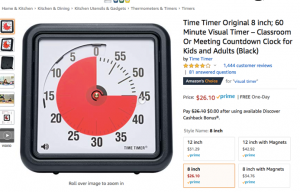 – Use a visual timer so the child can see how much time is left before the transition. There are many visual timer apps for smartphones/tablets ranging from free to $1.99 or one can be bought for $25-30 on Amazon. – Provide adequate time for child to finish task or activity to prevent frustration of not being able to finish. In conclusion, with practice and support, transitions may become smoother! As a child improves with transitions, there will be a reduction in the amount of transition time required, how much prompting is required, less undesired behaviors and most importantly, increase more successful participation within daily life and in the community! from One Activity to Another. The Reporter 13(2), 6-10.
between Activities. Center on the Social and Emotional Foundations for Early Learning. In applied behavior analysis, two of the most predominate methodologies include discrete trial training (DTT) and incidental teaching. Core features of DTT include repetition and sequenced instruction, in order to target certain skills, while on the other hand, incidental teaching involves elaborating on what a child initiates (Weiss, 2005). Today, we will be discussing the latter. So, what is incidental teaching? – The teacher arranges opportunities or sets the environment to encourages the learner’s interest. – It is child-initiated, which means once the environment is arranged, the teacher waits for the student to initiate interaction. 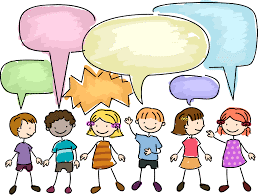 – Once the child either asks or makes a comment about the item/topic, the teacher prompts an elaboration. 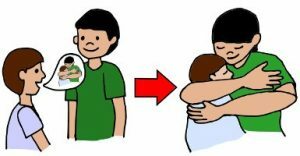 – After the child responds, the teacher provides reinforcement (e.g., teacher gives him/her the item, attention, etc., for what he/she has initiated). – It is an effective way of teaching a variety of language and conversation skills, including the ability to initiate interactions. – It provides learning opportunities where the skills naturally occur. – Seems less like “work” for child as the child is initiating and therefore, motivated. – Child loves apple juice. Dad is pouring a glass of apple juice that is out of reach, yet near the child. Child reaches for juice, dad prompts “J—-,” child says “juice,” dad gives child juice to reinforce the elaborated response. (This demonstrates an example of controlling access to item and moving item closer to student/child). – Mom is pushing child on a swing. Mom stops pushing child and waits for the child to ask for more pushes. (This demonstrates an example of starting a preferred activity and then stopping). – Therapist brings in special farm animal toys. Child asks for toys, therapist gives child toys. Child says, “Duck.” Therapist responds with, “A yellow duck!” as the child moves duck around. (This demonstrates an example of using items of special interest to student). 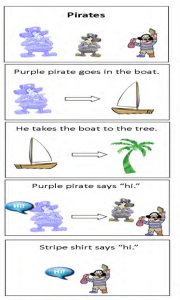 An example of an interaction in incidental teaching. Illustration by Tale Hendnes. In conclusion, learning may occur in a highly structured and systematic manner or be embedded into our day to day lives. While ABA therapist are trained in using incidental teaching, really anyone can do it. You may already be doing it without realizing it! Regardless, it is important to recognize the idea that learning can occur at any time or place and with incidental teaching, any opportunity can be turned into a learning moment! Hart, B. M., & Risley, T. R. (1982). How to use incidental teaching for elaborating language. Austin, TX: Pro-Ed. Weiss, M. J. (2005). Comprehensive ABA programs: Integrating and evaluating the implementation of varied instructional approaches. The Behavior Analyst Today, 6(4), 249. Despite the immense growth of typing and texting in our technology-driven world, writing skills remain essential. Children use writing skills both for fun and academic purposes. In order to scribble, color, trace, copy, or write, writing skills are required. If a child is having trouble with writing, not only could coloring or completing written school work be affected, but other fine motor tasks (movements using smaller muscles in the hands, fingers, wrists) could also be difficult for the child to complete (e.g., getting dressed, holding a cup, various play activities). Therefore, if we notice writing skills as a concern, we will address this through a variety of researched based interventions. 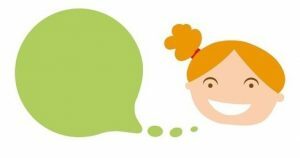 Prompt Fading – Prompt fading involves starting with the level of prompt the child currently needs and fading prompts until the child learns the writing skill independently. For example, the therapist may begin with using hand-over-hand physical prompts to help teach a child to hold a crayon correctly to color. Next, the therapist might prompt the child by modeling how to hold the crayon and color within the lines. Once the child is able to model the therapist, the therapist may just need to remind the child to stay within the lines when coloring (a verbal prompt) until the child independently colors within the lines. Handwriting Without Tears is a common program used to teach handwriting that incorporates a variety of strategies. 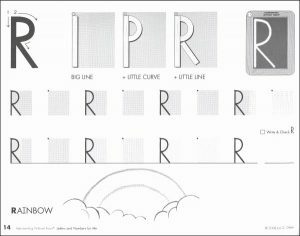 An example of one strategy is through verbal prompts and utilizing the program’s language to help with formation of numbers and letters (e.g., writing an R – “Big line, little curve, little line”). Another strategy is through visual prompts. For example, some Handwriting Without Tears worksheets provide a smiley face to indicate where the child should begin writing. Writing Without Tears Worksheets id#0 Worksheet. (n.d.). iPad apps (e.g., iWrite Words, Letter School, HWT – Wet Dry Try, Alphabet Tracing – Free) Having the child use a stylus can work on holding a writing utensil. To conclude, a tip to promote a child to use their fingers and work on fine motor skill is to give a child small, broken crayons to color, draw, and/or write. This way children are required to use their fingers, instead of grabbing it with their fist. Klee, I. C., McLaughlin, T. F., Derby, K. M., Donica, D. K., Weber, K. P., & Kalb, G. (2015). 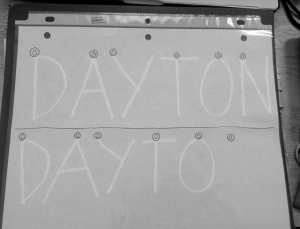 Using Handwriting Without Tears® and a modified copy, cover, compare through chaining to teach name writing to a preschooler with developmental delays to write his name. IJAR, 1(3), 59-65. While teaching new skills, we often use prompts. Prompts serve as intermediary steps between the child’s current skill set and the target goal. Although prompts are a necessary aspect of teaching skills, there is a delicate balance between under and over-prompting. If we under-prompt, it will be unlikely that the child will learn the skill. Conversely, if we over-prompt, the child will likely become dependent on the prompt and will thus not be able to complete the skill independently. Let’s take the example of teaching a child to wash their hands. With this skill, the emphasis is on independence; that is, the goal is for the child to be able to complete each step of hand-washing without the assistance of an adult. If we teach a child to scrub their hands with soap using hand-over-hand prompting they will likely not learn to independently do so as they are not required to make any movements of their own – and are now dependent upon adult help. On the other hand, if we continually use the verbal reminder such as “scrub” to a child that doesn’t know this meaning, they will likely never develop the skill of scrubbing soap – it’s an ineffective prompt. 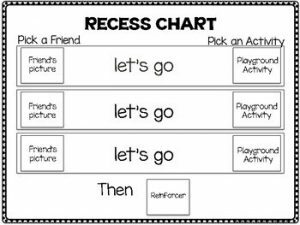 These two types of prompts demonstrate the balance we work towards while prompting to facilitate independence. Given these concerns, how can we decide what prompt to use to ensure that we are teaching the skill while facilitating independence? One common method is to use a “least-to-most” prompting hierarchy. Least-to-most prompting could include a verbal prompt (i.e., least invasive), a gestural prompt, and a physical prompt (i.e., most invasive). Simply put, least-to-most prompting procedures use the least invasive prompt that facilitates responding from the child. If that prompt does not facilitate the task, then we move up to a slightly more invasive prompt. This process continues until the child completes the task. In the example of washing hands, we may begin with a verbal prompt of “turn the water on”. Then, after there is no response we may gesture towards the faucet. Then, if the child doesn’t respond again we may gently guide their hands towards the faucet to prompt them to turn it on. As the child begins to learn the skill, we will likely not need to guide them towards the faucet but instead we may be able to simply point towards the faucet. In this example, we have now have taught the child to be more independent with hand washing. 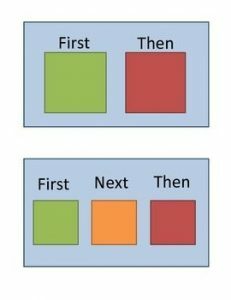 Future practice could focus on moving lower and lower on the prompt hierarchy until the child can do so without any reminders from an adult. While teaching new skills, we want to ensure that the child can complete the task independently. Least-to-most prompting is an effective teaching method to improve independence. Most parents have experienced their fair share of tantrums from their child. Although tantrums serve different purposes, they can often be a form of communicating a child’s wants or needs. As a pre-school teacher during graduate school, I saw plenty of tantrums. Each semester began with young children being separated from their parents, and these kids often engaged in the one thing that is hardest for parents to see – crying. Typically, parents would rush back in the room to comfort their child. Unsurprisingly, the child would often continue to cry (and more intensely) during future drop-offs; likely because this behavior worked so well with gaining access to their parents! In these situations, we would suggest that parents provide a comforting good-bye to their child but stay out of the room for the duration of the tantrum. Although a short-term solution for a tantrum is to give in by providing the child with attention, this typically sets a new standard for that child that can result in even more intense tantrums in the future. In this situation, the child can quickly learn that whining didn’t work last time but screaming did, so they will likely scream in the future to get what they want. However, the child will soon learn that their cries no longer result in their parents coming back and they are able to move on to more fun activities in the classroom. Although this is a specific example of a child being dropped off at pre-school, it can be applied to many relatable instances in a child’s life. Parents may see these challenging behaviors when their child wants to avoid something (e.g., chores, homework), or when they want something that they can’t have (e.g., a cookie before dinner, candy at the store). 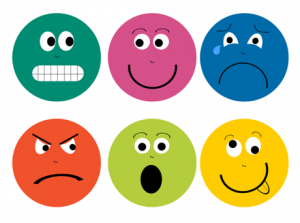 Despite the differences in these situations, the concept remains the same – if you give in it will likely result in an increased likelihood that the challenging behavior will occur next time. Giving in is a short-term solution that typically results in more intense and problematic behaviors in the future, as it sets a new standard for that behavior (e.g., whining didn’t work but screaming did so I will scream next time I want something). There are times that parents are unable to give their children what they want – not out of neglect, but because it is simply not feasible at the time. It is part of the learning process for kid’s to learn when their requests are appropriate or inappropriate. There may be an initial increase in the intensity/duration of the challenging behavior after planned ignoring. This is a sign that what you are doing is working, as there is typically a burst in intensity before the challenging behavior subsides. 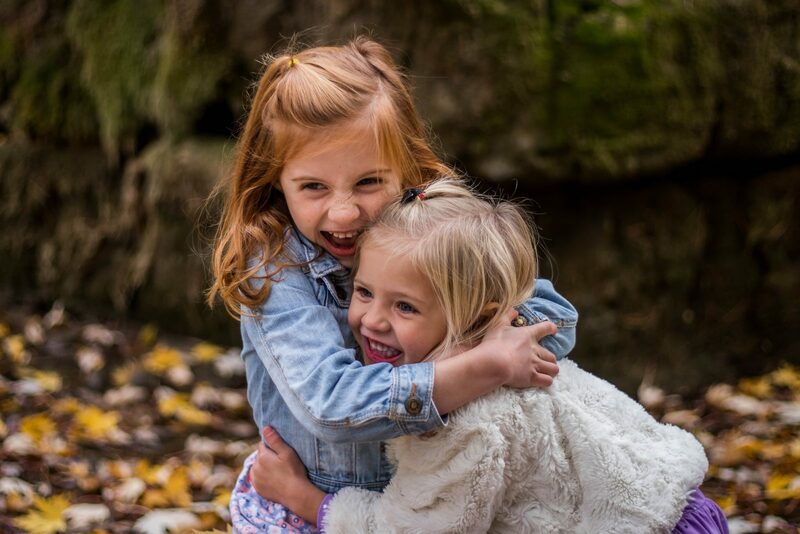 Pairing reinforcement systems with appropriate behaviors can be a helpful way of decreasing challenging behaviors and increasing appropriate behaviors. For instance, if your child sometimes struggles with transitions you may consider ignoring screaming but providing a highly-preferred item or activity whenever they appropriately transition. Ignore tantrums and always follow-through by ensuring that they transition to the next activity. Provide access to a reinforcer only for appropriate transitions.